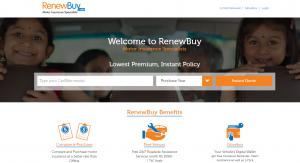 Gurugram-headquartered auto insurance aggregator RenewBuy has raised $9.2 Mn (INR 60 Cr) from Bengaluru-based growth-stage PE firm, Amicus Capital Partners. The investment is part of Amicus Capital’s maiden private equity fund which made its first close at $200 Mn in December 2016. As per reports, Zanskar Advisors served as the financial advisor for the transaction, which was finalized last week. With the newly-raised capital, RenewBuy is looking to expand its portfolio of services to include health, accident and life insurance. Owned and operated by D2C Consulting, RenewBuy is a motor insurance startup that was founded by Indraneel Chatterjee and Balachander Sekhar. The company launched its operations in April 2016. 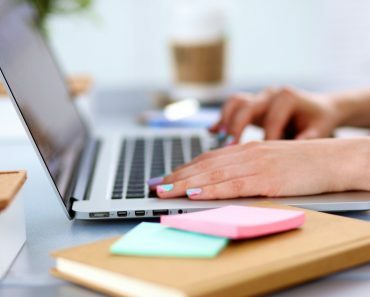 With its proprietary technology, the platform’s algorithm helps customers find the lowest quotes from insurance providers, thereby saving up to 60% on their renewal premium. Additionally, the startup offers other solutions for car and bike owners such as instant policy in less than two minutes, free reminder service, digital locker for all documents, servicing, and claim assistance. It has tie-ups with insurers including Bajaj Allianz, HDFC ERGO, Bharti AXA, Reliance General and IFFCO Tokio, among others. As claimed by Sekhar, RenewBuy has crossed the $15.4 Mn (INR 100 Cr) mark in terms of annualized insurance premiums. It currently boasts more than 7,000 insurance agents on its platform. In April 2016, the auto insurance startup raised $1 Mn in an angel round led by Mount Nathan Advisors, a Singapore-based principal investment and advisory firm. At the time, it was reported that the funding would be spent on developing its product & technology platform and test market various initiatives. Amicus Capital is a growth-stage investment firm established by former Carlyle India Managing Director Mahesh Parasuraman and Sunil Theckath Vasudevan in March 2015. The firm floated its maiden investment vehicle last year, when it made the first close at $90 Mn. With a target corpus of $200 Mn, the private equity fund is looking to make its final close by the end of 2017. According to Parasuraman, the fund will be used to back promising startups across a number of sectors such as consumer technology, financial services and healthcare, in exchange for minority stakes of around 20% to 49%. In the online insurance segment, RenewBuy competes against an army of emerging players, including Coverfox, PolicyBazaar, Easypolicy, Turtlemint, and BankBazaar, among others. In February 2017, Times Internet launched an online insurance distribution platform ETInsure. With the latest investment from Amicus Capital Partners, RenewBuy looks to bolster its presence in the fast-growing online insurance market by expanding beyond auto insurance and branching out into health, life as well as accident insurance.